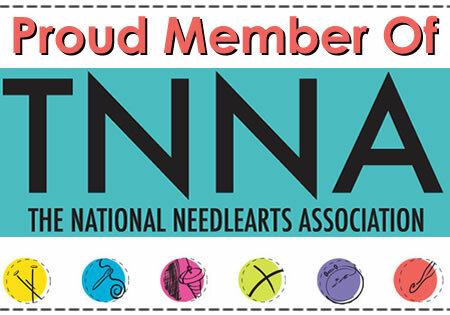 At TNNA in Indianapolis last month, we introduced three new yarns. We kept all of the information about them, from the blends to the weights to the names, a secret until their reveal at our Sample It! booth. Meg and Charlie do one last quality control check on the yarn before packing it for Sample It! To join Breeze and Wash My Lace, we have a new lace weight yarn that we've named Meridian. It is composed of 55% Tencel, 35% Alpaca, and 10% Nylon. With a skein of Meridian, you have approximately 812 yards of shine with which to create beautiful, delicate projects. Sample It! kits contained one skein of each of the new yarns, all in the same colorway. If you are a Breeze fan, you'll love Vera. A sport-weight yarn, Vera is spun from the same 65% Silk and 35% Linen blend as Breeze. A skein of Vera measures approximately 365 yards. We are sure that this will become a favorite sweater yarn! Our models, shown in Fiona. Clockwise from top: Meridian, Vera, Cole. Cole is our first Aran-weight yarn. Its 70% Silk and 30% Camel blend is the same blend as our sport-weight Oasis, and a skein measures approximately 180 yards. This yarn is going to be great for knitting up quick accessories projects! As always, if your LYS carries Anzula but not the yarn or colorway you are looking for, they can place a special order for as few or as many skeins as you need. Find a shop here or shop online here.